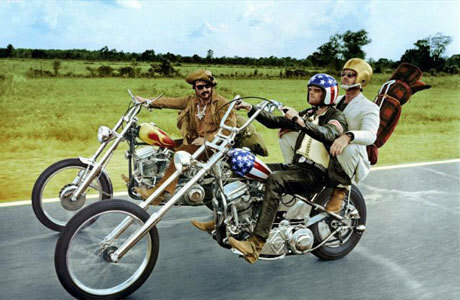 How very brilliantly have they equated freedom with the open road in the movie, ‘Easy Rider’. For a person who loves his bike, there is nothing better than the open road. It does not matter then what the weather is like and what time it is. The sight of open road is freedom enough – to go out there and explore the planet as we know it and even beyond. Esdy Merckx once said, ‘Ride as much or as little, or as long or as short as you feel. But ride.’ These words truly resonate the spirit of a biker. As a kid you would have gone for little sojourns on your balance bike but today you have a bike that you want to go places with. You are much on the right track and if you keep riding, there is no telling how wiser and how ‘enlightened’ you are going to be as long as you’re riding. However, each and every journey brings with it a few risks that can be a hazard as well. Manners: If you make you way into a city, make sure that you do not break the rules and use all the signs that you were taught when riding your balance bike as a kid. The golden rule of ‘look, signal and look again’ will hold true for you as long as you are in a city or on crowded streets. Do not assume others to be as quick or good with their bikes as you are with yours. Put on the right gear: You cannot simply hit the road in a jeans and a tee. Ensure that you have your biking gear with you. Helmets, gloves, jacket, eyeglasses and over the ankle footwear. Irrespective of the weather, make sure that you are always safe to avoid chances of getting hurt in case some novice driver cuts you off. Avoid people: Other people on the road may lack a sense of driving. Car drivers, because of restricted visibility often pull out from side streets or change lanes suddenly. Make sure that you do not tailgate and let the maniacs pass by. You are out on the street to enjoy the ride, not to race! Weather conditions: Are you prepared to take on bad weather conditions. Ideally it is not advisable to ride in bad weather conditions but a man who calls himself a biker just cannot resist the thrill of it. As you keep rolling, make sure that you are watchful, put on the right safety precautions and do not make sudden maneuvers. Stay Hydrated: Make sure that you stop for water. Carry fruits with you and make sure to buy more when you run out. Staying hydrated is the key to a good, long ride. A little common sense while riding would keep you safe on the road. Exploring the Earth on wheels is a charm that the human soul draws food from and what is more, with every ride, you come back a wiser man! This was written by parkc. Posted on Monday, November 3, 2014, at 9:56 am. Filed under Motorcycle & Your Health. Tagged Biking, Easy Rider. Bookmark the permalink. Follow comments here with the RSS feed. Post a comment or leave a trackback.